Is a Speller a Necessary School Book? The old-fashioned spelling book has been discarded by teachers generally. Many valid objections were properly urged against it use and it passed away. Entire dependence upon oral spelling may also be fitly styled a method of bygone days. Unfortunately for the old spelling book it was associated with all the folly and weakness of “oral spelling,” and this partly accounts for its rejection. A practical dictation Speller is clearly a necessity, and this work has been prepared to supply an obvious want in the program in Canadian schools. The claim to the name “Practical” is based on the fact that is not a mere collection of thousands of “long-tailed works in osity and ation,” but contains a graded series of lessons to teach pupils the proper spelling of the words which all have to use. Editor’s note: If you wish to view the full digital copy, we found an edition here at archive.org. In gathering artifacts in Clyde River for our museum, we have been given a good number of textbooks from the Beer family which were used to teach the children of Clyde River School from the late 1880s to the early 1900s. In reviewing these, I have discovered the delightful education they received despite their humble rural upbringing. It’s no wonder they acquired abilities to recite great poetry, calculate math easily in their heads, and name off the countries of the world and, as a result, were interested to know about the world. As I go through these texts, I would like to offer you a glimpse into a child’s education at that time. 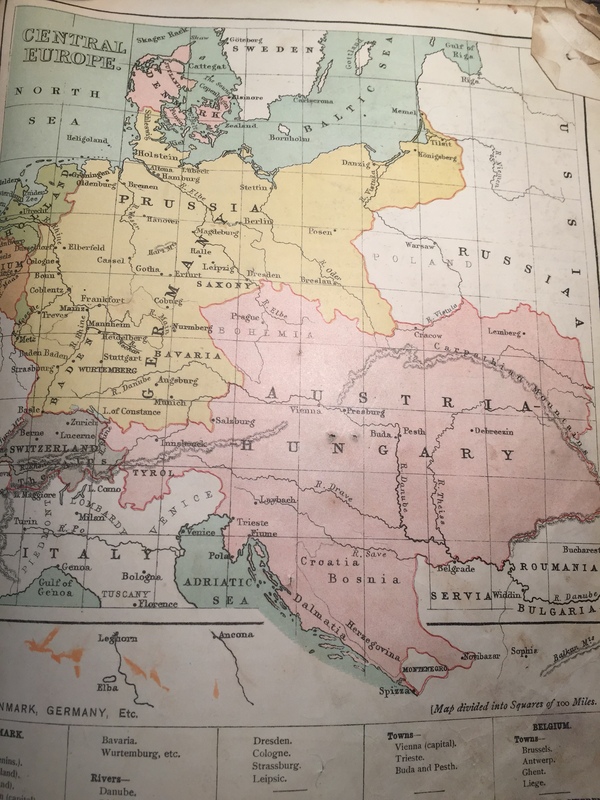 We will begin with a Geography book, Calkin’s Introductory Geography – The World: An Elementary Geography, from 1885 written by John Burgess Calkin. John Burgess Calkin was born in 1829 in Nova Scotia and became a leading figure in Nova Scotia public education. Calkin was principal for many years of the Provincial Normal School that later became the Nova Scotia Teachers College. He authored several textbooks, best known for his geography and history texts. He passed in 1918. The school is merely an introduction to the child’s education. Its chief aims should be to strengthen the desire to know more of those objects which it brings into view, and to point out the paths that lead to the unknown. On parting company with his teacher, the pupil is prepared to become an independent worker, and to pursue his way with ever-increasing interest and power. The textbook performs its proper function when it becomes an auxiliary of the school in working out these aims. While it conveys valuable truth respecting its subject, its higher purpose should be to awaken an interest in that subject, and to lead to systematic and persevering effort in searching it out more fully. In studying geography, children need to realize that they are acquiring knowledge of things which have a real existence in the world around them, and that this knowledge has been gained by such observation as they are capable of exercising. The only sure way of securing this is, at the outset, to take them to something that is tangible. The first knowledge presented must be concrete, and should be given through oral lessons on their own neighborhood. In this way, beginners acquire clear and definite ideas as to the nature of the study upon which they are entering, and they are led upward from things to definitions and principles. In following that approach, he begins the book with a chapter: “The School District or Section”, where he describes the school-house in a country community in a way that they will understand the underpinnings of grasping geography. 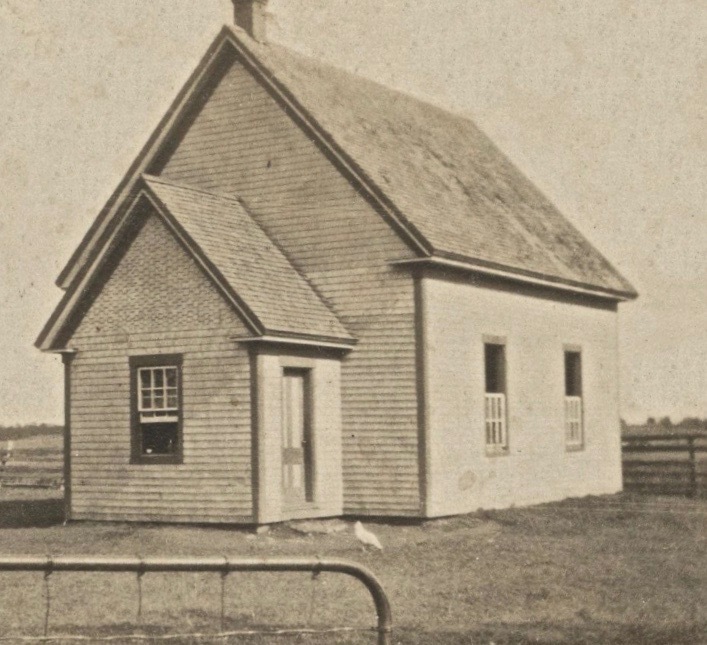 This is a picture of a school-house in the country. The boys and girls are assembling for school. Around their homes, scattered here and there through the neighborhood are hills, valleys, level fields, and woodlands. It is summer, and the country is very beautiful. The farmers are busy with their haymaking in the meadows. Near by are patches of grain and potatoes and on the sunny slopes are orchards which, in the autumn, will be laden with apples and pears. A way up on the hillsides are the pastures where the cows and sheep are quietly feeding. In the valleys, the brooks which have come down from the springs among the hills are winding their way, and hasting to the sea. Here, on holidays, the boys love to fish or sail their tiny boats, and girls love to stroll along the green banks and gather wildflowers. He goes on to describe that other children may live on the seaside where the land is rocky and they have views of sailing ships. Yet others live in the city where there are no fields or brooks, but rather houses and shops with narrow streets between them where there are many kinds of things such as printers who print books and newspapers. Or others may live near coal mines and the men are miners or places where the men are lumbermen and when the spring comes, they float logs to the mills and saw them into lumber. He suggests to the children that they should create a little geography of their own neighborhood to understand what kind of place they live in – observe all the features of their home and the places near it. They should make a little drawing of their school or at least a floor plan. From there, they can draw, the playground and any other objects around. Then, they can draw the neighborhood in which they live, marking the roads, the buildings, the brooks, the fields and any other things that they have observed. The result will be their own community map. 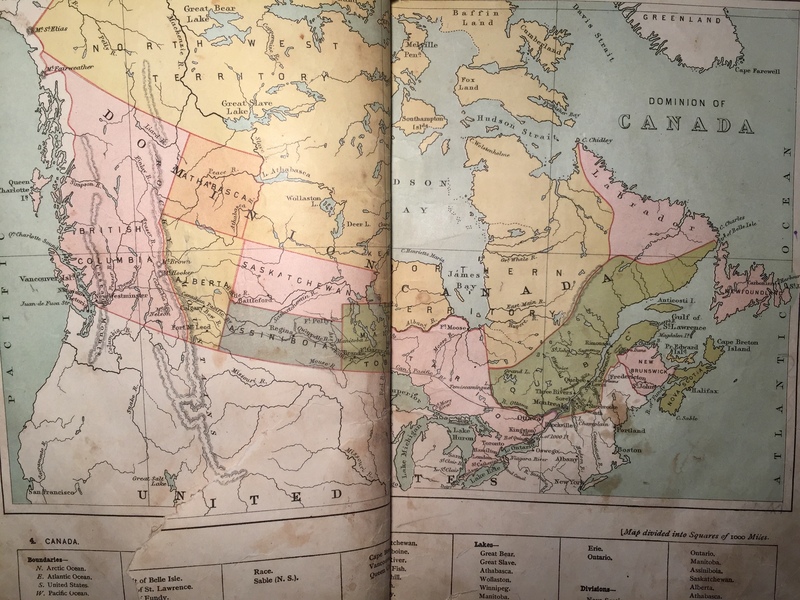 He continues by describing the province they live in, their country – Dominion of Canada, where if they travelled west, they would see lakes larger than their province and see mountains where at the peaks there is snow all year long, and, on the west coast, they would see another large ocean. The text then leads down through North America where the country is warmer and the waters of the east and west draw closer and then to South America. In the next chapter, he takes students on a “Voyage Round the World” where they leave Halifax by steamship and sail east across the Atlantic Ocean. In a few hours we lose sight of land, and there is nothing to be seen but the sea, with here and there a distant sail. We see no path, nor any sign to direct us; but the captain, with his compass and chart, can take us directly across the pathless ocean as if he followed a beaten track. He needs to know his duty well and to manage carefully, for sometimes we are surrounded by fog, so that we can scarcely see from one end of the ship to the other. In such a fog, we might run against another ship, or against rocks, and be dashed to pieces. Who wouldn’t be captivated by this adventure? Throughout the book are detailed drawings of scenes from different cultures. It is easy to see how he was able to capture a child’s imagination and build a curiosity of the world which would remain with them throughout their lives. Districts & Territories 56,446 – Includes Assiniboia, Saskatchewan, Alberta, Athabasca, Keewatin, Northwest and Northeast Territories. Below, they list Newfoundland with a population of 181,753 – joined Canada in 1949. Click here to view a digital version of the book updated and reprinted in 1898. Millar’s Life Review was provided to us by Joanne (MacFadyen) Turner which was written by Norma Thomson (Millar’s niece, Norman’s daughter) in 1986 for a course she had taken on the Dynamics of Communication with the Elderly and their Families. Millar MacFadyen taught at Clyde River, Cornwall, Kingston and East Wiltshire Schools during his career. Millar would have been 87 at the time of this interview. Millar was born at Kingston on June 13, 1898. He was the second oldest of a family of seven children. He traces his ancestry to the Argyles (Argyll) of Scotland. Millar’s mother descended from the Campbell’s of Mull and family history suggests he was a descendant of the 5th Duke of Argyle (or Argyll). Millar and his oldest brother started to school the same year. He was only five years old and his brother was six. He told me back in those days, you could do that. 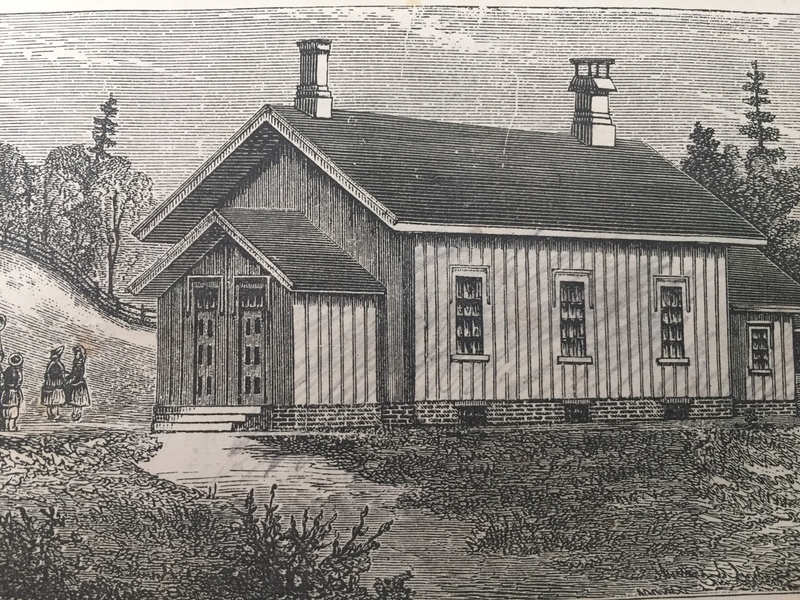 He went to a one-room schoolhouse with approximately 40 pupils all taught by the same teacher from grades 1 to 10. The older pupils helped the teacher out with the younger pupils. He attended school for 14 years. 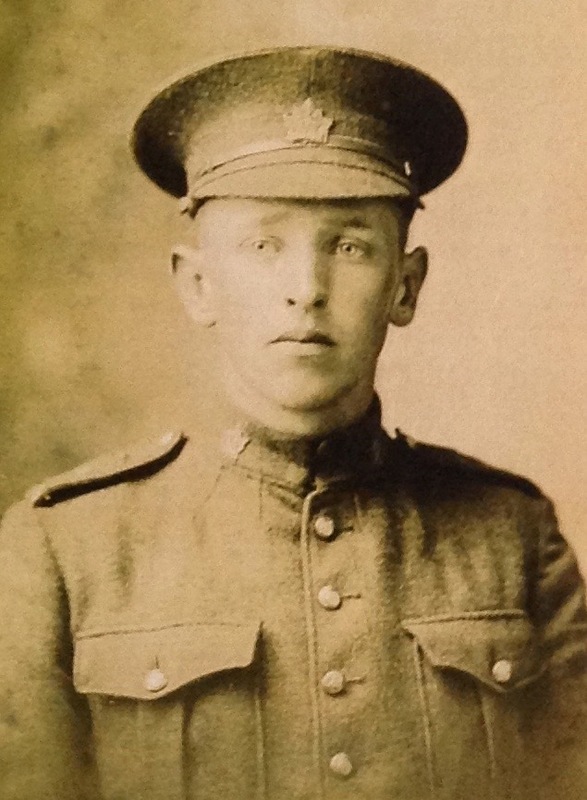 By then, the First World War had broken out and his older brother had gone overseas. Millar stayed at home for two years and helped his father on the farm. During this time, he decided he wanted to become a teacher, so he wrote and passed the matriculation examination into Prince of Wales College where he obtained a teacher’s license. From 1918-1922, he taught school at Cornwall. 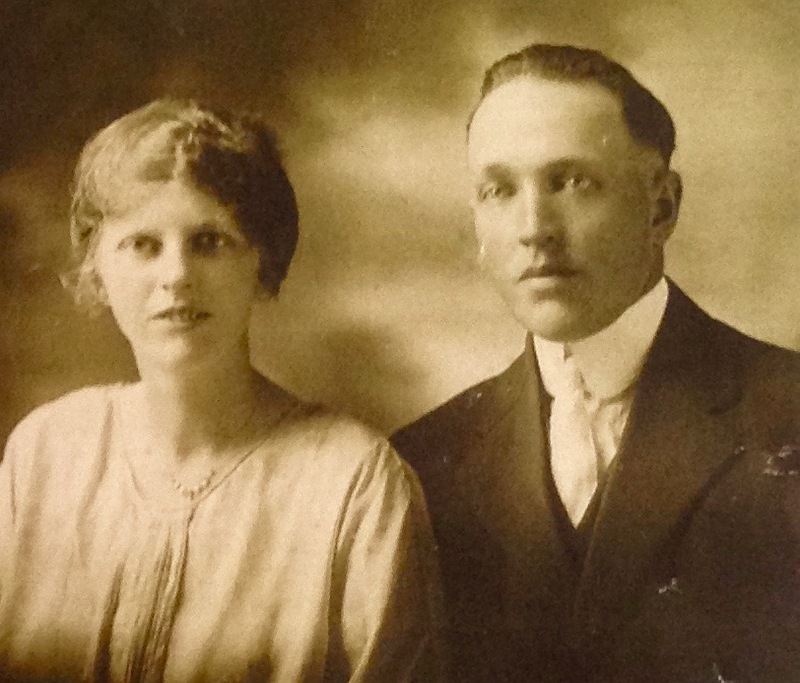 While there, he met and married Marion Lewis and they were married on December 20th, 1922. He remembers the Christmas of 1918 as a very sad time for the family, as on December 17th, his mother passed away suddenly. She was only 48 years old. The youngest of her children were twin girls, only eight years old. The first world war was just over and they were waiting for the return of the oldest boy from the war. He wasn’t able to get home until July 1920. 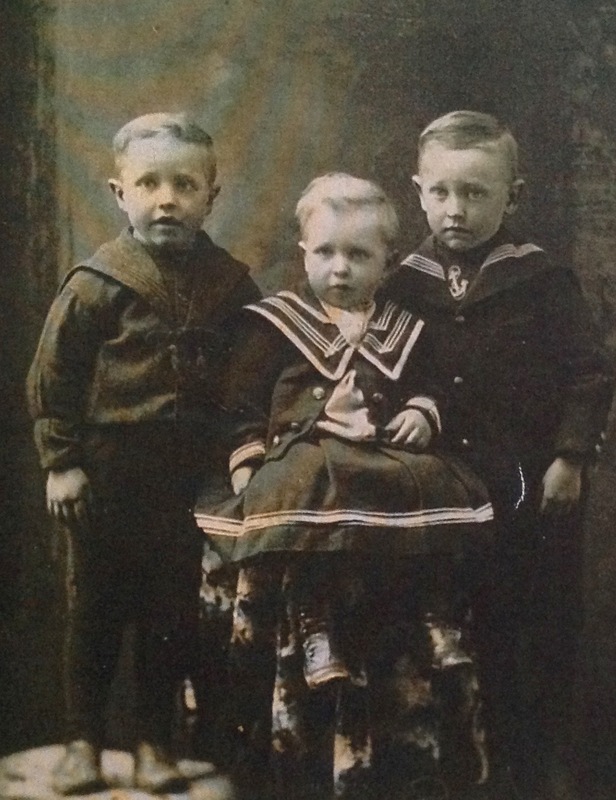 In 1921, Eric, a brother two years younger than Millar died of T.B. He was just 21. 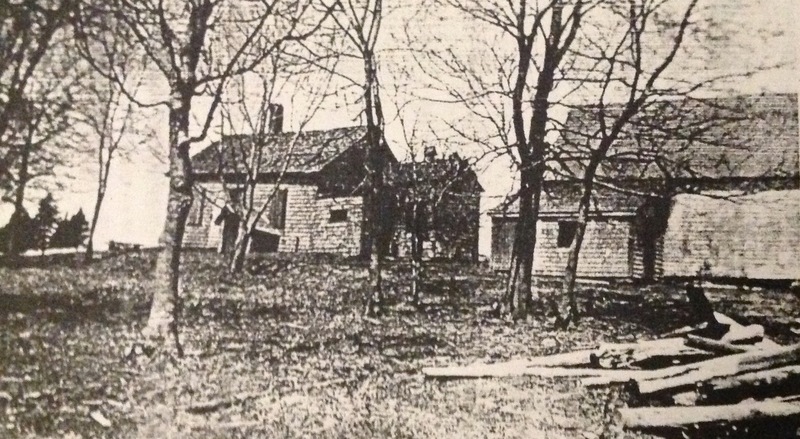 After his marriage, Millar moved in with his father on the home farm in Kingston. He taught school from 1922-24. He had 51 pupils in grades 1-10. In 1924, he taught at East Wiltshire for two years and then taught at Clyde River until 1932 when he returned to Kingston School and taught until 1935. He farmed and taught school for 16 years. He would get up at 3:00 a.m. and cultivate four acres before he went to school and four more acres in the evening during the busy season. In 1941, he obtained the position of principal at Parkdale School and was there for there for 14 years. He taught grades 7 to 10. In 1955, he received a position with the Department of Education as Director of Correspondence Study and Truant Officer of Prince Edward Island. He retired in 1972 at the age of 74 years after working 17 years at the Department of Education. When he first started teaching, his salary was $305 a year, and, in the final year at the Department of Education, $19,000 a year. When he retired, he received a pension of $3400. Concerts were the highlight of the school year. At these concerts, they would raise money for needed school equipment. One year, they purchased a teacher’s desk and chair. Another year, it was a bookcase, and, another year, they purchased a school organ for $75. During the depression years, there was not enough money to buy paint for the school, so they held a concert to raise money to buy paint. In those early years, grades were not mentioned, as a child started with the first primer, second primer, book I, book II, book III, and book IV. Another highlight was the Red Cross organization. He wrote a script for radio and had several people take part. This program was well received by the radio fans, In Parkdale, he organized a program where four pupils would answer questions by one of the other pupils. They had a program every Friday. Questions were asked regarding the home, marriage, boyfriends, religion, etc. The first program lasted five minutes. The final one in June was timed and it had to be discontinued after one and a half hours. Millar attended the Presbyterian Church all his life. He became an elder in 1950 of Zion Presbyterian Church in Charlottetown. He was Clerk of Session for ten years and taught bible class for 15 years. When a charge did not have a minister, he took his turn in the pulpit. He was secretary of the Men’s Association for nine years and of Presbytery for three years. He retired in 1972 at 74 years of age, and since that time, he has written three books of poetry and several single poems. He was a member of the Gideon Society for several years and during those years preached several sermons. He was a delegate from the Prince Edward Island Teachers’ Federation to the Canadian Teachers’ Federation twice, once in Winnipeg and once in Toronto. Millar’s first train ride was in 1941 when he travelled from Charlottetown to Winnipeg to attend the meeting. I asked Millar what his favourite word was. He said “Sui Generis” which means unique, unequalled or unparalleled. Millar lived 99 years, 1 month. He died July 14th, 1997. Clipping about Clyde River School examinations include a thank you letter from students, click here. Millar was principal of Parkdale School during his career. When some of his former pupils had a reunion at the new Parkdale School on Confederation Street, they planted a tree and placed a plaque in the front yard for Millar. It was a very special time for him. He was very proud and overwhelmed. There is a book of Millar MacFadyen’s poetry in the museum collection at the Riverview Community Centre. Millar was also a descendant of Thomas and Jane Beer. Their first daughter Mary Anne (Beer) married Archibald MacFadyen. Their son John Archibald married Sarah Jane (Campbell), and their son was Archibald Millar. Refer to lineage on http://www.janedyment.ca, click here. Both Joanne (MacFadyen) Turner and Jane Dyment who are members of our History Committee are descendants of Mary Anne (Beer) and Archibald MacFadyen. Joanne (MacFadyen) Turner is a descendant of Millar’s older brother Norman, making Millar her great-uncle. Millar was Roger Younker’s grandfather. Roger was the News Anchor for CBC Charlottetown’s Compass program for many years. Millar’s home place was on property now owned by the Dixon family on the Bannockburn Road, just a 1/4 mile past the Kingston/Clyde River border on the right-hand side. The house is no longer there. Millar’s mother’s obituary stated she “was taken suddenly ill with heart trouble.” Her children were Norman, Millar, Donald (Eric) (died of T.B. at 21 years old), Margaret (Florence), Jeannette and Alexandrena. Another of her daughters predeceased her, Rebecca Louise at 7 months, 13 days. She was the daughter of Mr. & Mrs. Donald E. Campbell of Darlington. She is buried in the Clyde River Presbyterian Cemetery. More details on obituary and genealogy at www.janedyment.ca, click here. 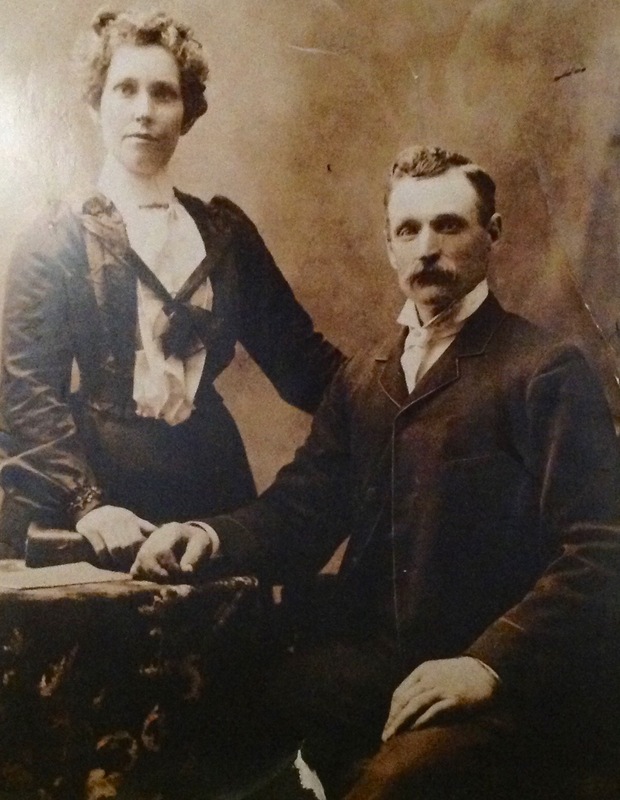 When Millar’s grandparents (Campbell’s) moved to Charlottetown, they lived in a house at the corner of Kirkwood and University Avenue which is now the location of Shopper’s Drug Mart. The home was referred to as Argyle Cottage. It all started on an occasion when school friends Annie Boyle, Donna Green and Carol Murray gathered together for one of their milestone birthday celebrations, where someone suggested that they invite a few more Clyde River School friends to a future get together. In 2009, their larger reunion began at Top of the Park and then continued in 2010 at the Dundee and in 2011, 2013 and 2015 at the Charlottetown Hotel. The group of friends, covering a range of ages, attended Clyde River School anywhere between 1945 and the early 1960s. 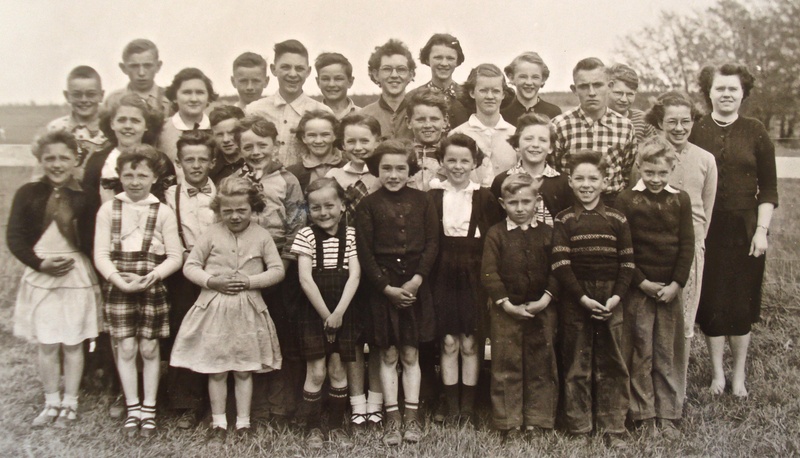 Some of their teachers included Rita (Cruwys) MacLean (1944-49), Shirley (MacDonald) Wood (1949-50), Joyce (Nicholson) MacPhee (1950-53), John Trowsdale (1953-54), Kay (MacFadyen) Morrison (1954-55), Ines (Gass) MacDonald (1954-55), Audrey (Frizzell) MacPhee (1955-56), Violet (Gillespie) Frizzell (1955-56), Elsie Hickox (1957-58), Theresa Donahue (1957-58), Winnie MacMillan (1959-60), Ida Deagle (1961-62), Anna MacLennan (1963-64) and Flossie Hyde (1964-66). Editor’s note: I just came across this photo of a Clyde River School class when Joyce (Nicholson) MacPhee was a teacher. I notice a few familiar faces.